Bavarian beekeepers forced to declare their honey as genetically modified because of contamination from nearby Monsanto crops. The European Union's highest court on Tuesday ruled that honey which contains trace amounts of pollen from genetically modified (GM) corn must be labelled as GM produce and undergo full safety authorisation before it can be sold as food. In what green groups are calling a "groundbreaking" ruling, the decision could force the EU to strengthen its already near-zero tolerance policy on genetically modified organisms (GMOs). Bavarian beekeepers, some 500m from a test field for a modified maize crop developed by Monsanto - one of only two GM crops authorised as safe to be cultivated in Europe - claimed their honey had been "contaminated" by pollen from the plant. But the court's finding also potentially threatens recent EU legislation, introduced in July this year, that permits traces of GMOs in animal feed without a safety review. Mute Schimpf, food campaigner for Friends of the Earth Europe, said that the ruling "would confirm that existing laws allowing traces of unauthorised GM contamination are insufficient and would need revising." French Green MEP José Bové, an ex-farmer well-known for his destruction of a McDonald's franchise in the south of France and the uprooting of GM crops in Brazil, said that the only protection farmers can have is for a complete ban on GMOs in Europe. "Beekeepers are powerless to prevent the contamination of their honey by GM pollen, as farmers are for their crops, and thus powerless to prevent the tainting of the foodstuffs they produce and the integrity of their product. "The only sure way to prevent this is by precluding the cultivation of GMOs." Greenpeace, describing the traces of pollen in the honey as "genetic pollution" said that Monsanto and the Bavarian state should be held liable for the beekeepers' losses as a result of their product having to be labelled as containing GMOs. Guy Poppy, the director of the centre for biological sciences at the University of Southampton, told the Guardian: "There is no safety issue. This honey is as safe as any other." "The Monsanto maize is genetically modified to produce the BT protein. But this same protein actually has been regularly used for years as a spray even by organic farmers," he added. "The consequences of these sorts of ruling is that new methods of plant breeding, whether GM or other forms that are developed, could be thrown out of potential use, making it impossible to innovate." Vivian Moses, professor of biotechnology at the University of London and the chairwoman of Cropgen, an advisory group on GM foods, said: "These beekeepers believe that there is a sensitivity among consumers of the presence of GM material, that the honey containing GM loses quality. They are just protecting their economic interest. "But scientifically this doesn't add up to anything, as the crop has been judged as safe for human consumption." "The honey is not dangerous. There is no health risk from honey in the EU," insisted EU consumer protection spokesman, Frédéric Vincent, worried that shoppers might stop buying honey as a result of the news. "It's an important ruling from the court. I can't say at this point whether we need to change any laws," he added. 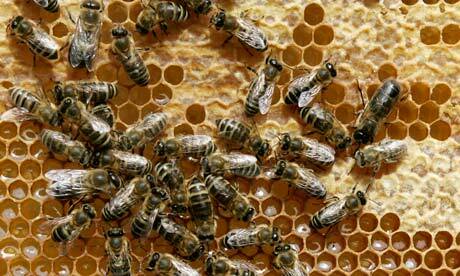 "The contamination is done by the bees themselves. We can't put GPS tracking on the bees."